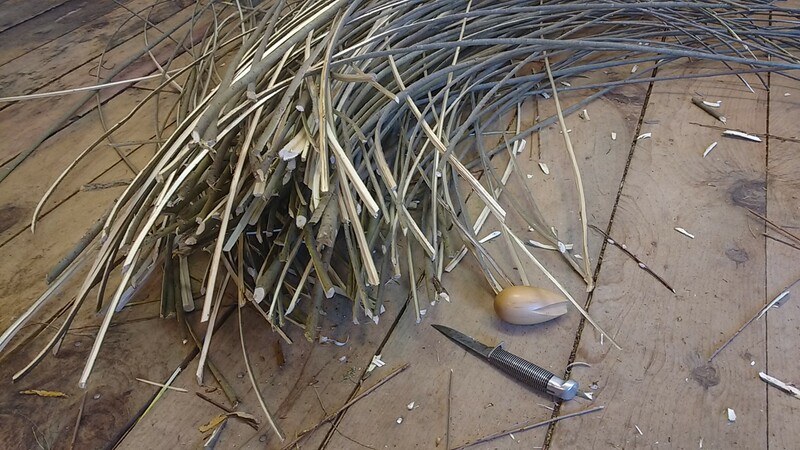 We split rods with the bark on, and will boil them to remove the bark when they’re ready to skein. 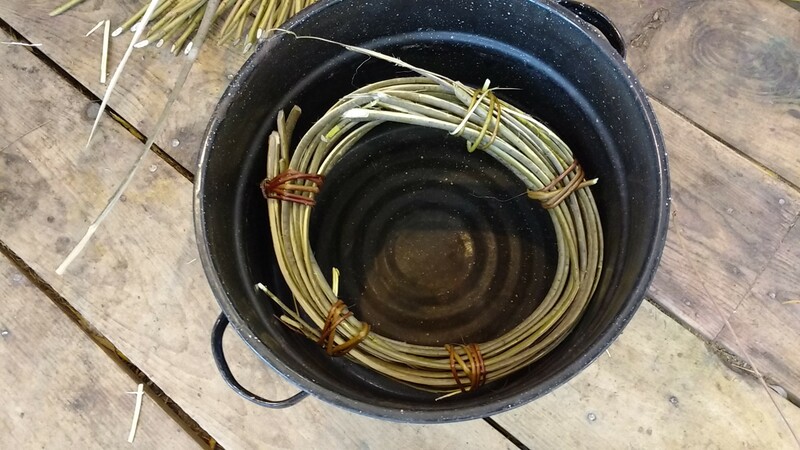 Over the weekend, Poppy, Karen and I got a lot of practice at cleaving and coiling. Here’s a short video clip of how I start the split. 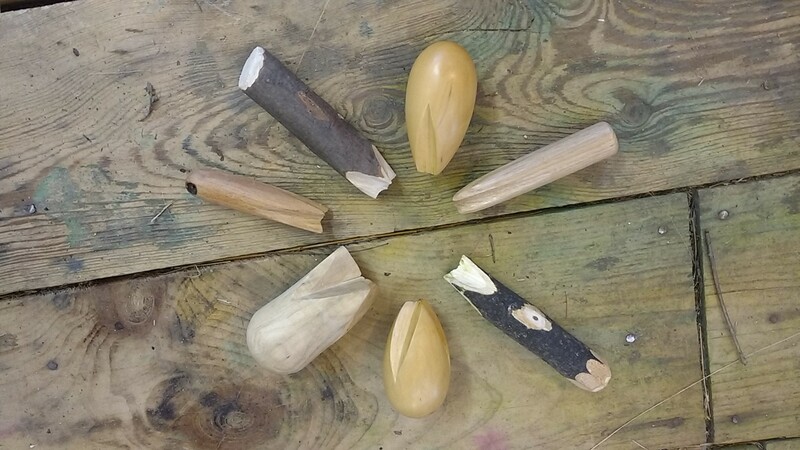 I tried out some of the other’s cleaves, and Bill even made a quick sample. Last time I wrote about cleaving I got lots of inquiries about where to buy a cleave in the U.S., but I have not found a source. The hardest part of the week was cutting and splitting two of the three rows of old Green Dicks in our snow fence. Bill and I got that done in two half days. He will use the biggest material in a rustic furniture class he teaches next July. I sorted out the stuff that was small enough to split. What I split I will boil in long aluminum tubes Bill has for bending fishing net frames. Poppy made the extra effort to split and coil that big stuff, making sure the coils would fit in a canner for boiling. 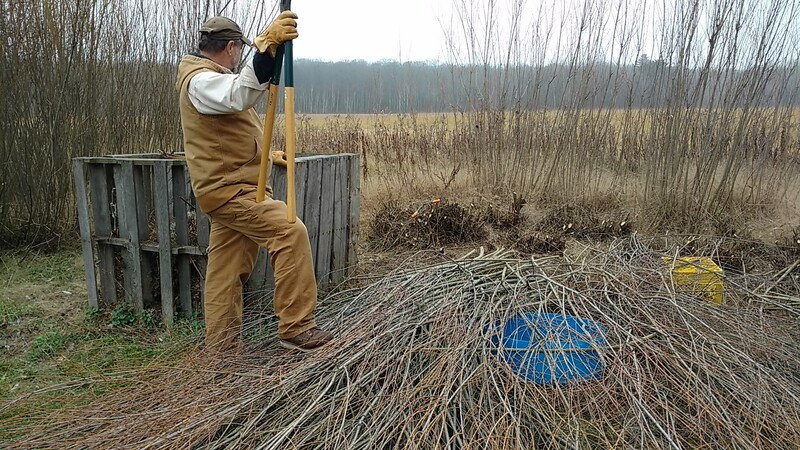 One of the willow wrecking crew may be putting in a new willow bed next spring, so she was able to take cuttings from this year’s crop. She will store those in her refrigerator crisper drawer until it’s time to plant. 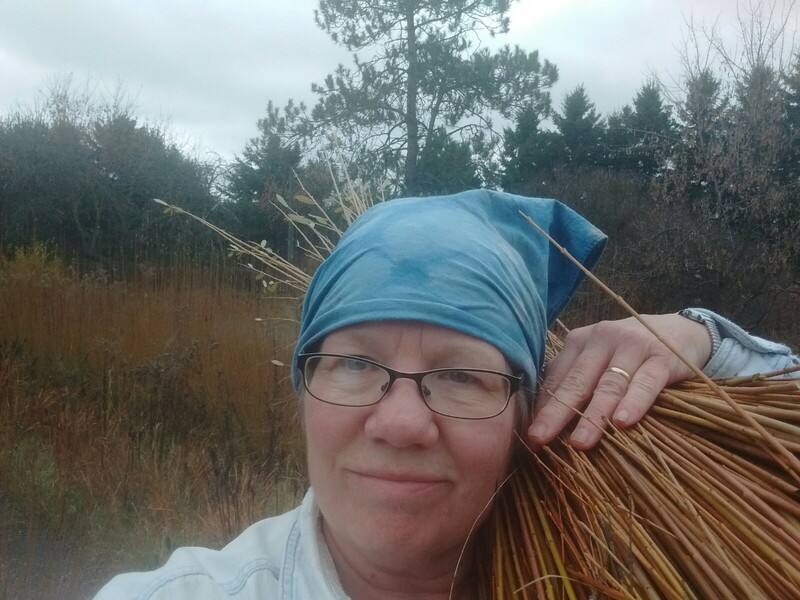 She also took pictures and measurements of the tool my neighbor made me for planting willow cuttings. Karen’s husband has been volunteered to make her one. 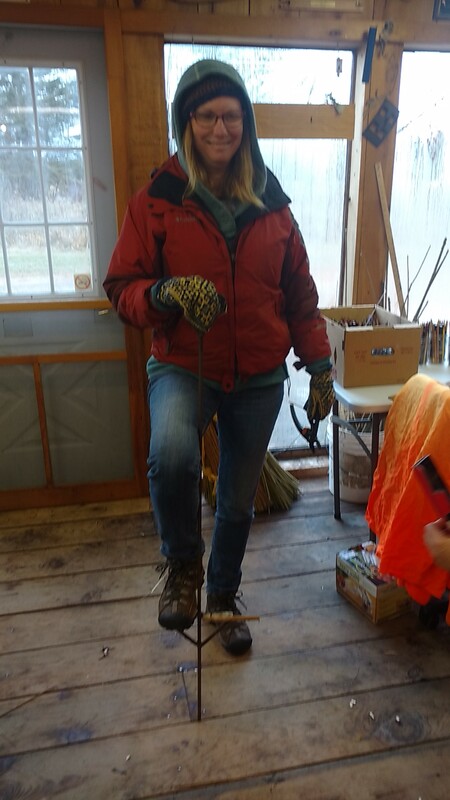 I’m so thankful for the wonderful opportunity for learning these skills, and for the fun and fellowship of “wrecking willow” with these friends. We missed the rest of the crew from May, but we got a lot done in a short time. Step by step, we’re working our way toward the point where we have both the skills and the materials to start doing some skeinwork. The long aluminum tubes were a legacy from Neil Sanvidge, who taught Bill how to make landing nets. Bill uses them for soaking the strips, which he bends in a steam box he built. Neil also gave Bill what is essentially a flamethrower that runs on propane to aim at the tube to heat the water. Not elegant, but effective. I do plan to use the bark. 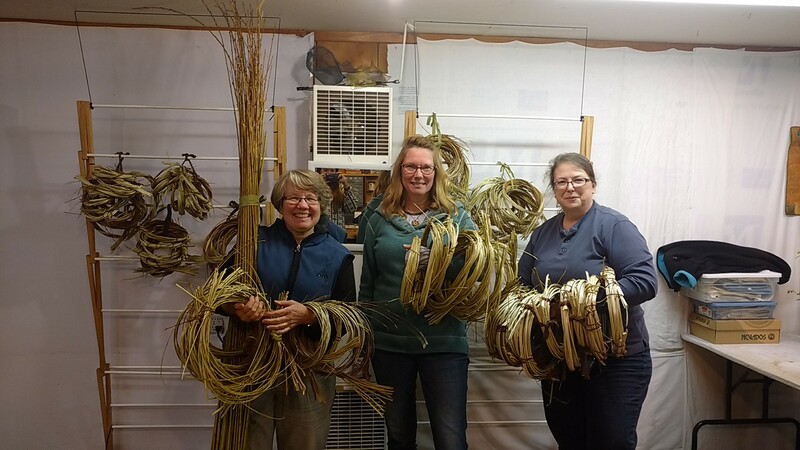 We cooked some bark-on coils that Dawn got from Margaret Matthewson last spring. 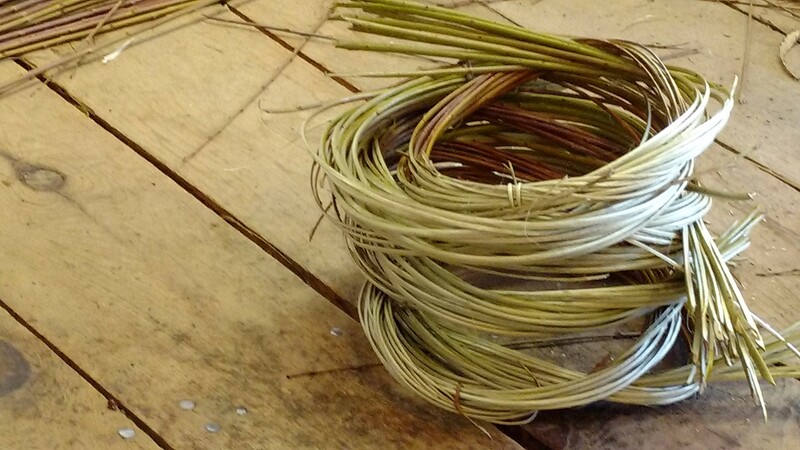 The bark we peeled off after boiling made the loveliest cordage! -capped one or if it’s a recent addition, but glad to see it now!